Search engine Google has found an innovative way to thank teachers who shape our future. Today, on Teachers' Day, Google Doodle features a cute animated doodle as a token of appreciation towards all the teachers who havee played an important role in our lives. 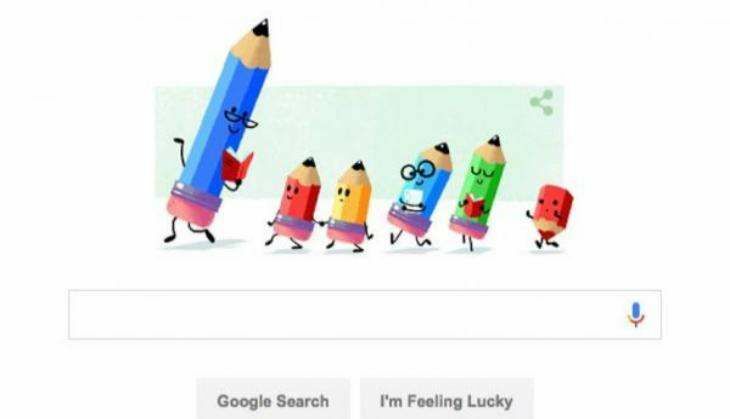 The Google homepage today shows an animation where a teacher, portrayed by a bespectacled pencil holding a book, is leading a queue of giggling students, again portrayed by pencils. The 'student pencils' are seen jumping and walking in an excited manner behind the teacher, in a looped animation. India celebrates Teachers' Day annually on 5 September, the birth anniversary of Dr Sarvepalli Radhakrishnan, the country's second President. Dr Radhakrishnan believed that "teachers should be the best minds in the country". While he was the President, he said instead of celebrating his birthday, it would be a privilege for him if the day was celebrated as Teachers' Day. Teachers' Day is celebrated on different days around the world. In the US, it is celebrated on 3 May.